*What a whirlwind day today. I went from one thing to the next all day!! *I left the house and stopped at the school district office to get my time sheet straightened out. Then off to work at the Sierra Silver Mine Tour. It was a rather slow day, but we did get to watch the carnival get set up that will be up and running for Gyro Days, which begins Thursday night. *After work I jetted home to host our P.E.O. meeting, which began at 7. We do this later meeting so we can hear the P.E.O. Convention report. Carolyn Gibbs gave the report, and did a wonderful job!! 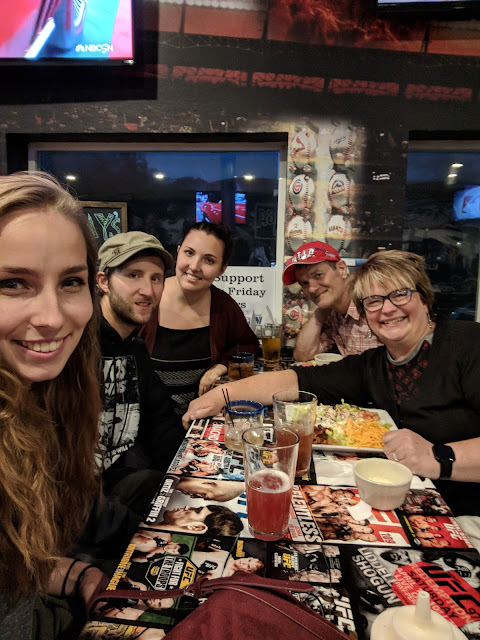 *Around 8:30 p.m., we had the pleasure of a visit from some wonderful friends former students, Nicole Estabrooks, and Tyler and Corinne Carlson. Nicole is here for a few days to visit with her sister and brother-in-law, and will soon be reporting for her Peace Corps opportunity. It was so exciting to hear about what is coming in her life. Tyler and Corrine live in California, and are here visiting, and it was so wonderful to hear about their life, and how well they are doing, and what a loving and thoughtful couple they are to be around. We headed over to Best Shots to visit, and I had a salad, because I realized I had not eaten dinner yet. *We are watching Bill and Debbie’s corgis and they have been really great!! All our furry critters that we either own or are watching seem to all be getting along perfectly fine. So Bill and Debbie....your corgis are doing just fine!! The report from here is good! !